I can’t believe it’s been this long since I posted anything. Almost a year. My web-guy(Phil Graves of All Saints Media) tells me I should post at least every week, but apparently that isn’t happening. Totally my fault. Anyway, it’s been six years since I graduated massage school and got my license. But why did I do it in the first place? After a lot of loss in the families, between my husband and myself, and a good bit of sadness bordering on depression, we went on vacation to Florida and I got a massage while I was there. When the massage was done and I got off the table, I felt amazing and I told my husband that I wanted to help people feel the same way. Six weeks later, I was in massage school. After graduating and getting my license, I worked a day J-O-B and built my practice part time until I was able to go full-time, four years later. That’s been two years ago! I so love what I do and being able to help people feel better! 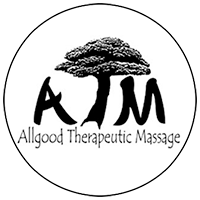 With this anniversary, my experience, and further massage education, I’ve decided to adjust and streamline my prices effective July 1, 2017. Look for updates in the near future!